Photo courtesy of the San José Spotlight Facebook page. Former San José mayor Ron Gonzales and his wife Guisselle Nuñez are hosting a launch event and celebration for the nonprofit news organization San José Spotlight on Jan. 23 at the Silicon Valley Capital Club, 50 W. San Fernando St., San Jose, from 5:30 p.m. to 8 p.m. The event is an opportunity for attendees to network with other journalists and San José Spotlight readers, learn from the co-founders about how to help the news site achieve long-term success and a chance to hear from special guest Jon Ralston, founder and editor of The Nevada Independent, who will speak about the future of journalism. 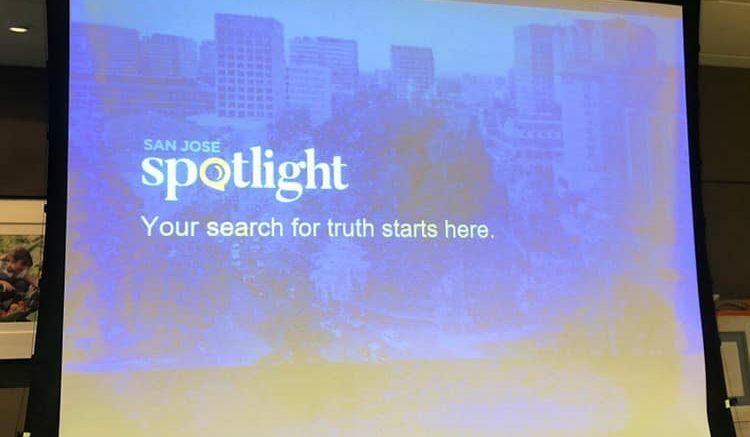 The San José Spotlight aims “to change the face of local journalism by building a community-supported newsroom that ignites civic engagement, educates citizens and strengthens our democracy,” according to the website. To purchase tickets for the event, click here. For more information, contact Joshua Barousse or Ramona Giwargis at (408) 829-4476 or (408) 206-5327. Be the first to comment on "San José’s first independent nonprofit newsroom to celebrate launch"